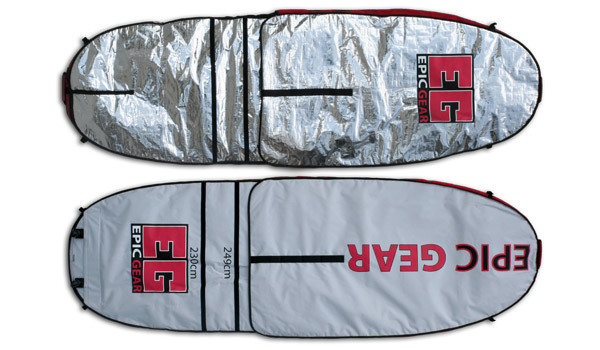 2019 - BOARD BAG WHEELS FOR EPIC BAGS -Free if you want one - I HAVE A FEW SPARES IF YOU NEED ANOTHER ONE. Priced just to get rid of them instead of disposing of them. 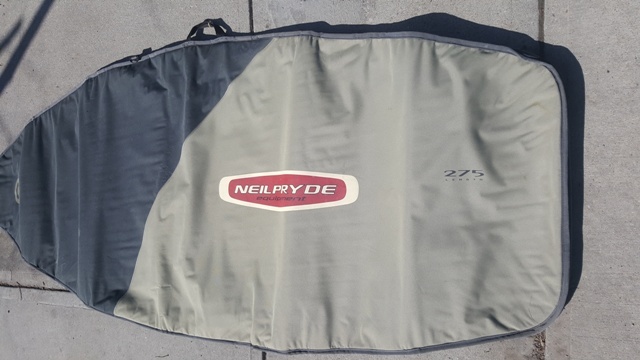 2019 discontinued price in Canadian $114.29 - one only in stock - Upper pictured Padded adjustable mast bag 230-290cm - slots for 8 mast pieces so 4 x 2pce masts or 8 masts if they fit within each other. 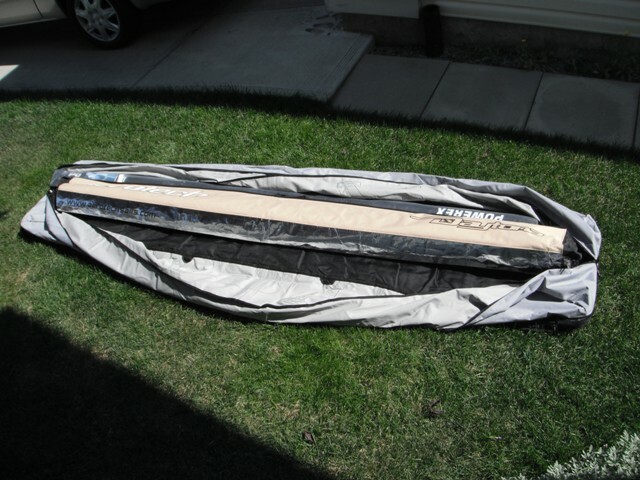 2019 - Works as a Board Bag as well - priced at cost in Canadian $100 with GST - Padded coffin style boom bag - discontinued and one only remaining in stock, at 230cm it actually fits some small boards nicely as a board bag. reasonable offers acceptable. Time to move this product out of inventory. 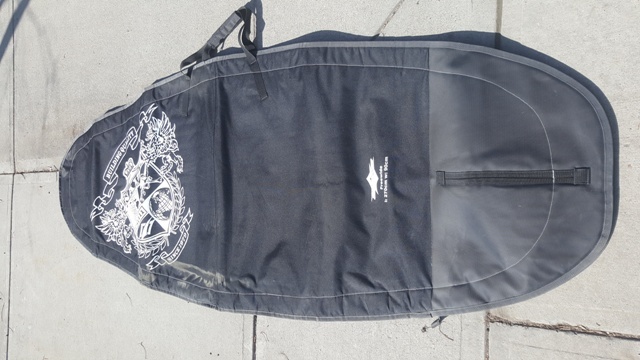 2019 - Discontinued - priced at cost in Canadian $150 Canadian with GST - reasonable offers - O-825 - One only in stock - Formula Carry All Bag With Wheels - 305cm x 56cm x 38cm holds five masts up to 550cm and sails up to 12m. These bags are designed to carry masts, sails, and even booms. 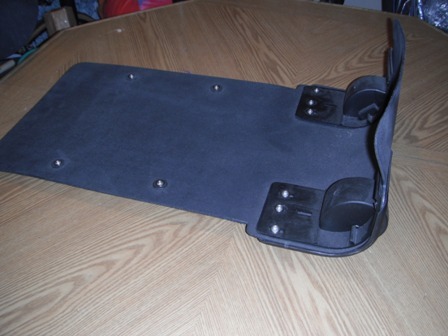 Store your mast in the compartmentalized section on the bottom of the bag. Your sails go above the mast section. Slots are placed in the bag so you can run tie-downs through the center of the bag, cinching the masts, but not crushing the sails. The floor is padded. That is a 9.8m sail and a 520cm mast in the main picture with lots of room to spare. The following prices on this list are USD$ and for general inquiry purposes can add $100 to the conversion price to compensate for shipping and customs to get it here assuming special order, unless your timing is good and I happen to be bringing in another shipment of products. For US or Not Local customers, these can be shipped directly to you. Shippig to a US address would be close to just the price of the product.